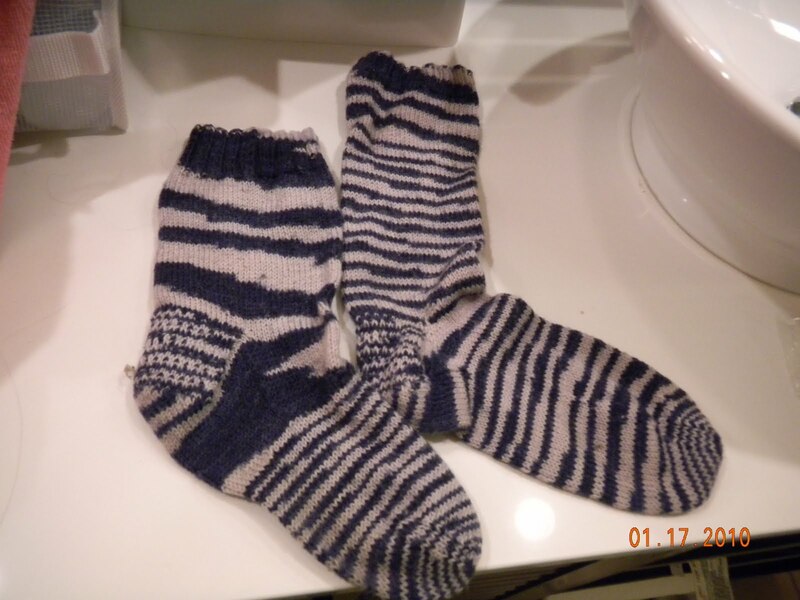 The First Pair of Socks I Ever Made. This is a true confession. These socks took me 3 years to knit. When you look at them, remember that there have been some things that I have knitted that I threw away. These socks weren’t in that category. So remembering this contex, here they are……….. The one on the left was the first one, I believe. It took the longest, maybe 2 years. I got tired of looking at it and decided, “What the Hell? Just do the second one”. So I did. Looking at these, just think to yourself how hideous the things I threw away must have been. Curt spent the first 10 years of our marriage looking for their mates when they showed up in the dryer. He didn’t know that they were fraternal twins born a year and a half apart. So, it is amazing that I ever, ever decided to try a another pair of socks. Ones that would actually stay on my feet without turning upside down or falling off. This photo shows Andrea’s Rare Gems (my daughter in knitting) that I am knitting along with some very brave knitters who are being introduced to sock knitting.. I am bowing to their peer pressure, all of whom have BOTH socks on Magic Loop already! I can’t be outdone by my students! So to those new Sock Knitters that are crossing over into the Dark Zone of Sockiness, remember my first pair. I will bring them to our next knitting session so you can see them in person. They are to socks as the Cow-Tongue purse is to felting. 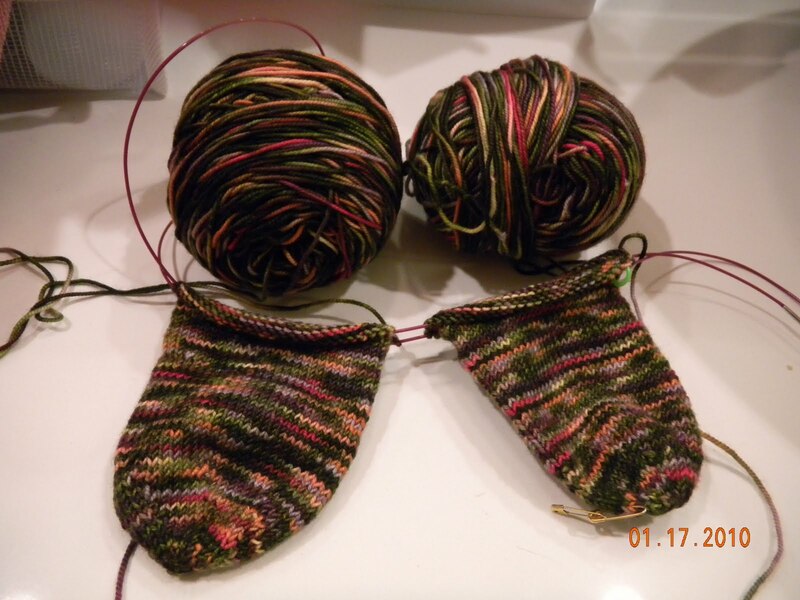 PS–the photo makes my first pair of socks look much better than they are in real life.